Many people underestimate how hard it is to maintain a thick, luscious grassy lawn. 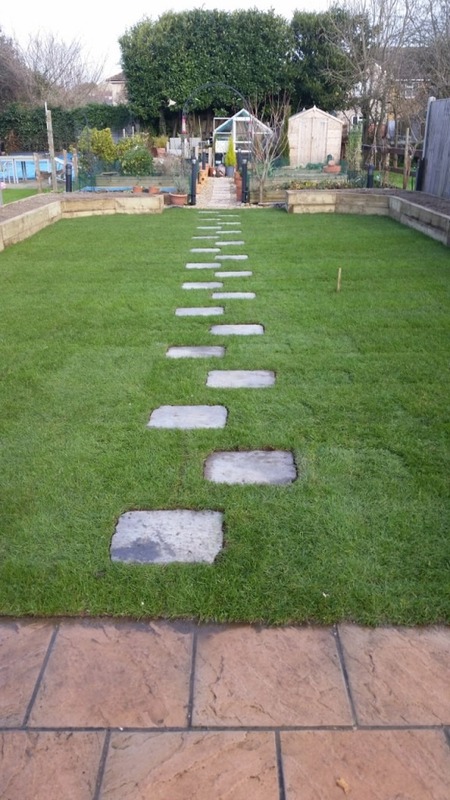 But with our turf laying Hampshire service, we can provide you with the right grass for your garden. We are dedicated to home-growing all of our turf in designated fields – that way, we know we’re supplying our customers with the very best. If you’re in need of turf laying in Hampshire, get in touch with our team today. 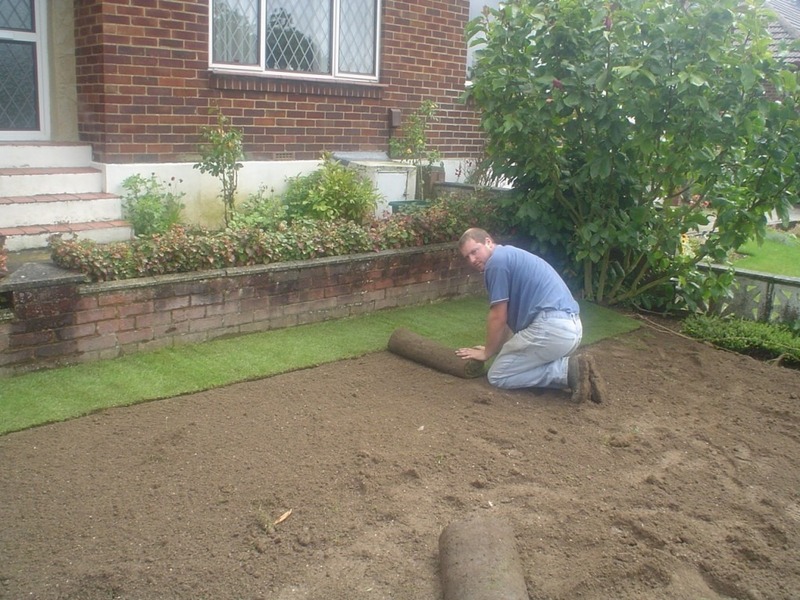 Why do you need our Hampshire turf laying service? Grass is just as picky with its growing conditions as some of the most vibrant flowers in your garden. Without the right soil, the right airflow or the right weed management, it is likely to suffer. Most people don’t realise how bad a state their lawn is in until the autumn months – where raking the lawn leaves large bald patches left over from where weeds and moss used to grow. When the bald patches in your lawn are uncovered, it requires more than just a sprinkle of grass seed to bring your lawn back to full health. In fact, with the amount of dedication and commitment it’ll take to make your lawn lush again, you may as well invest in our Hampshire turf laying service. It’s no good having lovely, blooming flower beds when the main event of your garden is choking with weeds. If you’re tired of having a lawn that consists mainly of moss but you don’t have the time to painstakingly restore it, consider our turf laying Hampshire service as the solution to all of your grass woes. What type of turf is the right choice for your garden? How much time are you prepared to spend on your lawn? What are you going to be using your lawn for? How much money am I prepared to spend on maintaining your lawn? When a grassy surface is used for lots of activities – whether for sports or just as a general run around area for the children – it’s best to invest in turf that is hardwearing. We cultivate turf which contains a very robust species of grass; and while not as fine and velvety as some of the more premium grasses out there, it doesn’t require much maintenance. Our turf laying Hampshire team regularly install general purpose lawns, which consist of fairly hardwearing grass that has been specially cultivated to be disease resistant. They have a greener and more ‘premium appearance’ than lawns provided by hardwearing sports turf, yet they only require minimal maintenance. If you’re a keen gardener who wants to make more of a feature out of your lawn, why not invest in our luxury turf? To keep it at its best, it’ll need to be mown once a week, and it can handle being cut to 15mm, which is perfect if you like to keep your garden looking pristine. What can you expect from our turf laying in Hampshire service? When it comes to providing people with beautiful new lawns, we carry out the best turf laying Hampshire has to offer. While we’re more than happy to deliver your preferred grass, it pays to invest in the services of a professional Hampshire turf laying company in order to achieve the best results. After our turf laying Hampshire team have finished laying your lawn, they’ll supply you with instructions on how to care for it. Usually, your turf will take a week or so to take, and make sure you water it during dry weather to provide it with optimum growing conditions. Why should you choose Abbey Turf? At Abbey Turf, we are dedicated to producing high-quality disease and weed free turf from our 180 acre site. We do this by supplying our turf with the conditions it needs to thrive; including growing it in soil which possesses the right balance of nutrients, and daily inspections to make sure the turf is growing to the high standards that we are renowned for. We harvest all of our turf by the square metre, and time it so it is delivered to your premises within 24 hours. It is carefully rolled and loaded onto our delivery vehicle ready to be laid by you or our turf laying Hampshire team. As well as providing high-quality garden products including topsoil and mulch, we also offer our customers a full landscaping surface. If you’re thinking about investing in our turf laying Hampshire, why not speak to our team about our full landscaping service, and transform your garden into the perfect place in which to relax on those warm sunny days. If you’re looking for the best turf laying Hampshire has to offer, look no further than Abbey Turf. If you would like to place your order or just need some advice, contact us today.